So what can we see here? 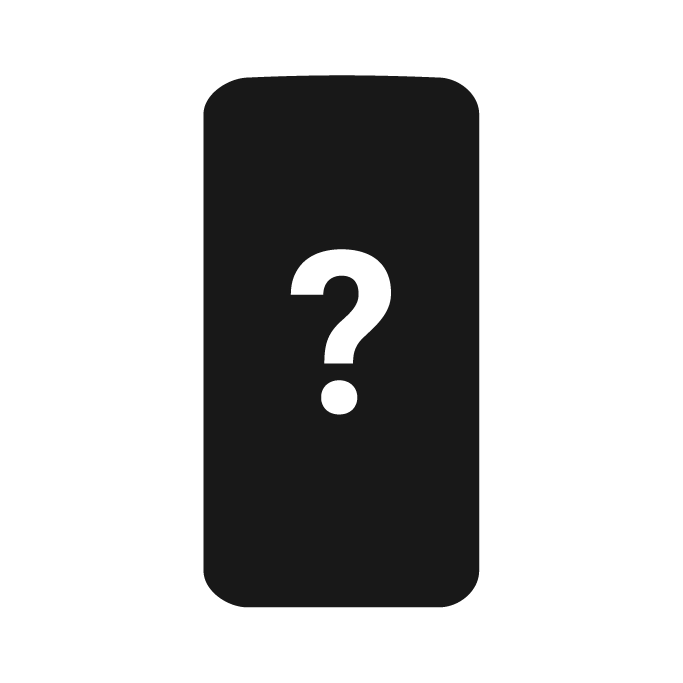 The device appears to have the same overall shape we saw in yesterday's image with the characteristic corner curves of the Moto X (and other leaked devices), and a big giant screen (note the nav buttons). Front facing speakers aren't immediately apparent (unless that gray line right below the screen is a speaker and not a prototype marking), but it goes without saying that it's almost impossible to tease out any detail from this photo. One thing that is visible in a commenter's version of the photo is a unique Motorola watermark, typical of the company's unreleased products. 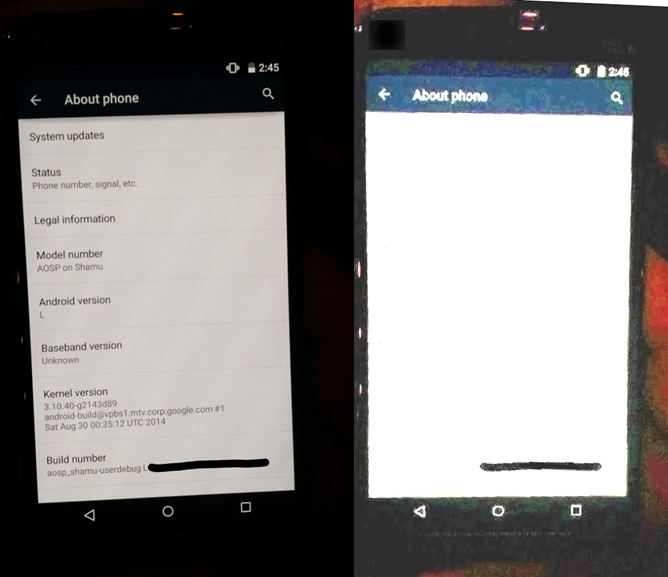 The device is also apparently running an AOSP build of L, and while the baseband is unknown, we can see that it is still running a Google-made kernel built in Mountain View ([email protected]), though it's almost two months newer than the version Shamu was running when we first reported on it (that kernel was built in early July, while this one is from late August). The kernel is an important thing to note here - while the photo itself doesn't reveal much about the device, we know that Shamu has received an updated kernel built directly by Google, strongly suggesting the device will be a Google product. With the GPE program withering on the vine, we can largely discount the notion of Shamu being a Play Edition device, and with a discreet device (Quark) coming from Motorola with matching specs, the evidence is still hinting at Shamu's Nexus status, unless by some chance this phone becomes another scrapped Nexus. But of course, we can't possibly be certain just yet. Only Google or Motorola will be able to solve the mystery once and for all, but until then we've just got underexposed photos and a little hope.